Robots have been expected to do smart services as well as various troublesome or arduous tasks for humans. Since these human-scale tasks consist of sequential procedures, the robots need a knowledge structure to store the temporal sequences through active learning and to retrieve them to autonomously perform such tasks in similar situations through reasoning. The capability for performing those tasks is defined as task intelligence that can be realized based on intelligence operating architecture (iOA). As a knowledge structure, a long-term memory can be employed, which consists of episodic memory, semantic memory, procedural memory, and emotional memory. The crux of the realization of task intelligence for robots is to design the memory module for storing temporal event sequences of tasks, the mechanism of thought for reasoning, and motion planning methodology for execution, among others. This talk introduces how to realize task intelligence based on iOA. This talk focuses on the design of a long-term memory, neural model-based mechanism of thought, and an online motion planning algorithm, Q-RRT*. The long-term memory is developed as an integrated multi-memory neural model in which an episodic memory is designed using a Deep ART (Adaptive Resonance Theory) neural model and a semantic memory is built through the consolidation of memory contents in episodic memory. Procedural memory is also designed using the context-based recurrent neural network to store the trajectories of the manipulators along with context information and then retrieve them according to the context information without conscious thinking. Robots are taught either by human demonstration or symbolic description. A behavior appropriate to the current situation is selected by the developmental neural memory-based mechanism of thought, while a proper task is retrieved from Deep ART model. The behaviors are executed safely and quickly with the motion planning algorithm. The effectiveness of the realization of task intelligence based on iOA in terms of machine intelligence learning and executing tasks is verified through experiments with a humanoid robot, Mybot, developed in the Robot Intelligence Technology Lab. at KAIST. Invited by the World Economic Forum, Mybot had a performance demonstration at the Annual Meeting of the New Champions in Tianjin, China on June 26~28, 2016. 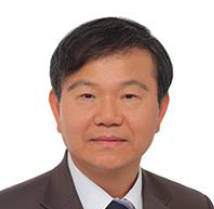 Prof Jong-Hwan Kim has been with the School of Electrical Engineering at KAIST since 1988 and is currently Professor and Dean of College of Engineering, KAIST. Dr. Kim is Director for both KoYoung-KAIST AI Joint Research Center and Machine Intelligence and Robotics MSREP (Multi-Sponsored Research Platform). He was Director for the Research Center for Robot Intelligence Technology in 2009~2014. His research interests include machine intelligence learning, intelligence technology, and ubiquitous and genetic robotics. Prof Kim was the recipient of the science and technology award from the President of Republic of Korea in 1997 and has been elevated to 2009 IEEE Fellow. There will be time for interaction with the speaker at the end of the seminar. Light refreshment will be served. Registration is complimentary but pre-registration is required.